Gregg Eichhorn, the father of eight children with special needs, decided to make a winter wonderland that all of his children could enjoy. Eichhorn built a wheelchair-accessible igloo. 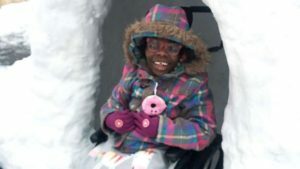 His daughter Zahara, who has cerebral palsy, looked absolutely thrilled as she was able to enter into the igloo with her wheelchair. Eichhorn spent five hours building the igloo and was assisted by his kids. They have since added a slide to the snowy fortress and Eichhorn says that Zahara and his son Elijah continue to enjoy it. Eichhorn and his wife adopted all eight of the children and are planning on adopting a ninth. Read more. The government has been shut down for almost a month now, leaving furloughed federal workers without paychecks to pay for food. But thanks to generous donors around the country, federal employees and their loved ones don’t have to worry about going hungry. In Washington, D.C., Kraft Foods is opening a pop-up store and giving out free food to those affected. Over in Tennessee, a Syrian refugee who owns two falafel shop is serving complimentary meals to federal employees. The Humane Society of Tampa Bay isn’t forgetting furry loved ones, offering free pet food to federal workers who currently can’t afford to feed their beloved animals. Read more here, here, and here. Prisoners in San Quentin State Prison in California are being taught hula dancing, and many of the inmates find that the classes have helped and inspired them. According to experts, both Native Hawaiians and non-Hawaiians can benefit from hula dancing, which is said to promote physical, mental, and spiritual health. The West Virginia nonprofit that runs the classes has found that the skills the prisoners learn from hula dancing help them to find a sense of identity and freedom. One inmate says, “Pre-hula, I was a really dark person. But hula really spring-boarded it for me. 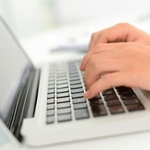 I think, had I not found myself spiritually, I still would be searching.” Read more. 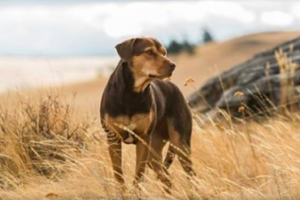 Released in theaters January 11, A Dog’s Way Home tells the heartwarming story of a lovable pup determined to find her way home. Fans of the movie will be delighted to hear that Bella’s canine actor, Shelby, has a remarkable tale of her own. Found scrounging for food in a Tennessee landfill, the stray puppy was brought to a no-kill shelter, where she quickly proved her eagerness to learn. When dog trainer Teresa Ann Miller ran her through a behavioral test, she immediately knew that Shelby would be perfect for the upcoming role. But Shelby’s inspiring story didn’t end after the movie; she now continues her good work as a therapy dog visiting hospitals and children with disabilities. Read more. Katelyn Ohashi, a gymnast at UCLA whose joyful floor routine went viral on YouTube, found happiness after her sport almost broke her. The jovial gymnast fractured her back, leaving her unable to compete in the Olympics. But she soon discovered that competing at a college level is what makes her happiest. Ohashi now struts her stuff and delivers jaunty and skillful performances, complete with smiles and sassy dance moves. In the viral video, Ohashi enthusiastically tosses her curls back and forth while her teammates cheer her on. She received a perfect score for that routine and hopes to make it to the NCAA championships. Read more.